Contour Developments Corp. is a Saskatoon based construction development company that specializes in general contracting, commercial concrete and residential concrete work. Our company values include honesty, integrity, respect and quality, and our approach to construction is one of professionalism and exceptional customer service. Contour Developments is a general contracting firm dedicated to providing the highest quality construction and renovation services for your home or office. Whether you are remodeling an entire house, reinventing a corporate space or envisioning an elegant exterior renovation, we will work alongside each client to create tasteful and exquisite spaces in which to live and work. We strive to build excellent relationships with each of our clients through exceptional communication at each step of the process. Contour Developments began as a residential concrete company, but we also see pouring concrete as a form of art. We specialize in concrete flatwork including stamped concrete, colored concrete and exposed aggregate. We have extensive experience in concrete walls and foundations, both structural and decorative. Driveways, garage pads, patios and all exterior concrete can be customized to the client’s exact requirements and specifications. We are committed to produce an impeccable design with exceptional craftsmanship. Our approach is consistent with each project, from small to large, classical to modern, interior or exterior, residential or commercial. Our focus is to make your vision a reality. 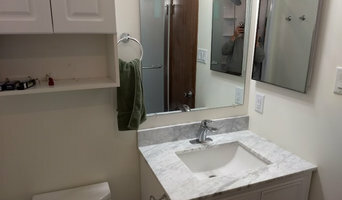 Premium general contracting and finishing carpentry specialists. Interior and Exterior Finishing and Renovation. Local contracting business specializing in remodelling and new construction. Located in Hague, Saskatchewan, the heart of Saskatchewan's Dairy industry, Zak's Building has been serving its customers since 1996. The staff at Zak's know the value of prompt, on-time scheduling and work hard to ensure customer satisfaction. Zak's builds durable structures that stand the test of time, whether for your home, cottage or for your business. We're also excited to announce that Zak's is now a Home Building Centre! Easy shopping for quality home products and finishes right in Hague. Quality workmanship and materials are evident in every job. Zak's works with you through every detail of your project. From "on-site/on-time" scheduling through to "built to suit" design, our staff are committed to ensuring your job is completed to your standards. All projects and materials are covered by a comprehensive warranty. Bring in your design or let the experienced Zak's staff provide you with a plan specifically designed to suit your needs. Either way, you'll rest assured knowing that your project will receive all the attention required to make it outstanding. Please contact Zak's Building. We're happy to help! FineLine Developments Inc. tailors home developments with a European flare. Based in Saskatoon, we are fully licensed, bonded and insured, ensuring every job is done with meticulous attention to detail. Our carpenters plan every detail and professionally execute on every single job, making sure projects are completed on time and on budget. It may sound cliché but we’re happy when you’re happy. FineLine Developments specializes in kitchen remodeling, bathroom upgrades, basement developments, custom renovations and IKEA kitchen installations. We make your dream a reality. We offer free estimates on any job within the Saskatoon area and stand behind our work. We are confident you will be satisfied with our quality craftsmanship, fair pricing and outstanding customer service. Saskatoon is our community and our mission is to create living spaces you call home. Choose FineLine Developments for your next project. 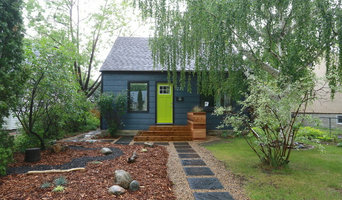 Serving Saskatoon and area with affordable and reliable renovation and repair solutions. We are a family-run business specializing in residential renovations of any size. Interior home renovation and project management services provided by Journeyperson Carpenter, Penny Jean Wohlberg. 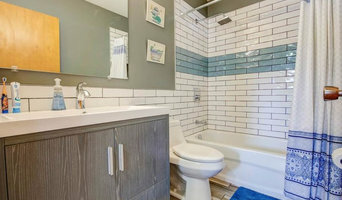 When you choose to work with Renovation Jeannie, you get first-class workmanship, top-notch quality, and someone whose #1 priority is customer satisfaction. 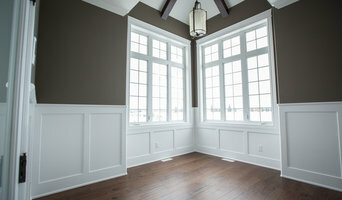 We are a home construction and renovation company serving Saskatoon and area. We are a local company offering construction, landscaping, maintenance, and organizational services in Saskatoon and the surrounding area.